One of the greatest ways to ensure that your home is completely secured is to fix your window locks well. In most homes, window locks were neglected at the time of house construction. This is so obvious when you consider the number of windows that cannot lock properly or even the negligible number of windows with well functioning locks. However, as you realise in the course of your stay in that house, windows need to be securely locked to keep off draught while at the same time offering the security. Windows need to be locked from inside and with well functioning locks. Also, the moment the locks gets damaged, they need to be fixed as soon as possible because it is a common knowledge that thieves have always used windows as their favourite route into houses. However, it is not always a good thing to anticipate window locks repairs. At least there should be an assurance that the kinds of locks in use are perfect that they will not require repair in often times. Therefore, it is so important to give this work to a reliable locksmith who is adept at fixing window locks. But the problem is, the more you look for a perfect windows locksmith in Adelaide, the more you do not find a reliable one. At the same time, you’re haunted by the idea that that the moment you entrust a locksmith with the job, that will be final, you cannot change mind. You will have no retreat other than to observe as they deliver either quality or substandard work. But if only you could have found a reliable locksmith whom you have all your trust in that they will fix your window locks well, life could have been easier. That is why you should just learn who Port Locksmiths are. 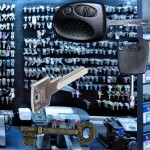 This is a renowned locksmith services provider in Adelaide. Whether its emergency or regular locksmith services, this is a company you can rely on for your ultimate peace of mind when it comes to window locks. They understand how important it is to have well functioning window locks. They also do not overlook the fact that perfectly matching quality window locks make a house complete. But incase you have an idea of how you want your window locks to be, we’re always ready to come up with custom made window locks. Make wise decision to entrust your window locks fixing and emergency repairs to experts at Port Locksmiths and you will be delighted at how a seemingly nondescript service like window locks fixing can come complete and wonderful.